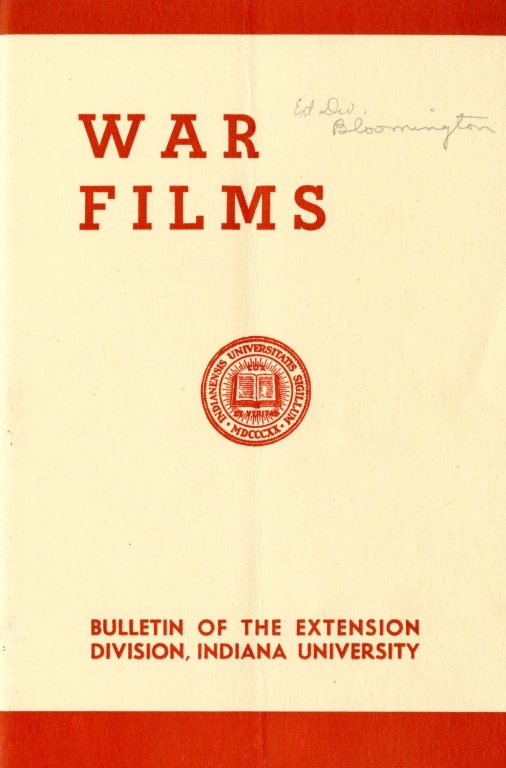 The films available through this exhibit showcase the digitization work of students from the Introduction to Moving Images Preservation class of Spring 2015. Each student chose a film or video from the Indiana University Library Moving Images Archives and prepared it for online exhibition over the course of the semester. Research, digital preservation, historical context and conservation techniques were discussed and evaluated. This exhibit was created in order to showcase the films and research. A monthly calendar devoted to Bloomington film cultures. The Clio Awards is known as advertising's equivalent of the Academy Awards. This international awards competition celebrates achievement in advertising and creative business. The Clio Awards were founded in 1959 by Wallace A. Ross, and named for the Greek goddess Clio, the mythological muse of history. The Clios were first awarded for television advertising in the 1960s, but later expanded to include international work on television, movies, and raido ads. In the 1970s, the Clios were acquired by Bill Evans. By the 1980s, the Clios had further expanded to print advertising, international radio advertising, international packaging design, U.S. specialty advertising, and U.S. cable advertising. In the 1990s, the Clio Enterprises filed for bankruptcy, and the company was sold. In the spring of 2017, Indiana University Libraries Moving Image Archive acquired the Clio entires from the 1960s through the early 1990s. The collection includes thousands of reels of ads spanning 30 years and hundreds of categories. The Moving Image Archive is currently processing this collection, but as a preview we have digitized a selection of ads from the 1960s and 70s.